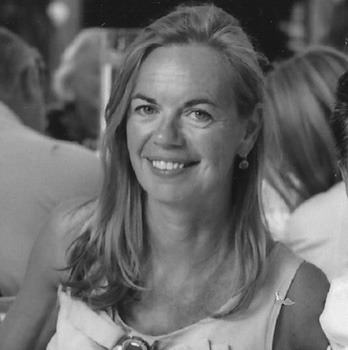 Award-winning former journalist Emma Robson has over 25 years of experience in the world of media and communications. She trained as a journalist at Reuters and worked also for Knight-Ridder, the UN Development Programme, BBC radio and television, and Bloomberg. At UNDP, she reported from more than 26 developing countries on what works in development aid. At Reuters Financial Television she focused on corporate Europe, conducting dozens of interviews with board members of leading European companies. In 1999 she won the AEX broadcast journalism prize for the TV series she produced – decision-makers. Since founding Media Wise in 1999, she has helped companies and their executives to craft and pitch stories that work. A native English speaker, Emma is fluent in Dutch, French, Italian and Spanish. She holds an MA and BA in languages (French, Spanish and Italian) from Cambridge University, England and is a qualified teacher of English as a foreign language. 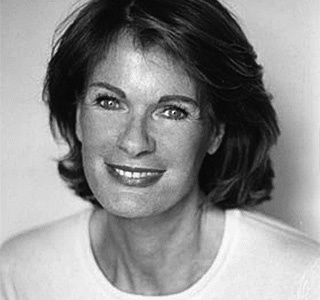 Barbara is a bicultural TV journalist and trilingual (English, French and German) living and working in Paris for over 30 years initially for ABC News US, then ITV News (ITN) GB and subsequently as a freelance news producer for BBC TV and Radio, Channel 4 News, CNN, NBC, Reuters. After having realised hundreds of television interviews in both English and French, Barbara naturally transformed herself into a media trainer, carrying out teaching in how to handle the media, public speaking and crisis management for top executives in both English and French in France and abroad. Although she has been a media trainer for several years she remains a freelance TV journalist essentially for British and US broadcasters. Gemma is a multilingual PR professional who works with Media Wise on multilingual communications trainings. A native English speaker, Gemma is fluent also in French, Dutch and Spanish, holds a BA in foreign languages from Manchester University (UK) and is a qualified teacher of English as a second language. Gemma has worked as a Public Relations/ Marketing Communications consultant on a pan-European and global basis for more than years now, serving clients in sectors ranging from food to finance, legal to lifestyle and textiles to technology. Gemma brings an understanding of cross-cultural sensitivities to her work, having lived and practiced in the UK, France, Spain, South America and the Netherlands. Over the 20 years that she’s worked as a communications professional, Sinead has developed a particular expertise and interest in health and food safety issues. Combining that with her marketing communications experience, she helps scientists, technical experts and company executives to convert scientific data into credible messages that are understood by relevant stakeholders. Sinead has managed and developed communication strategies on a national (Irish) and international basis for organisations such as Safefood, Diageo, Procter & Gamble, McDonald’s, Biogen, Alliance-Boots, and the European Institute of Women’s Health. Sinead is based in the Netherlands and works for Media Wise on a project basis. Carsten started out his career as a lawyer with Lufthansa, before becoming an international journalist working in his native German and English. For over 10 years now has applied that experience and expertise to his work as international media and communications trainer. Carsten develops and delivers tailored communications training and coaching programmes for organisations – including top management, experts and stakeholders. 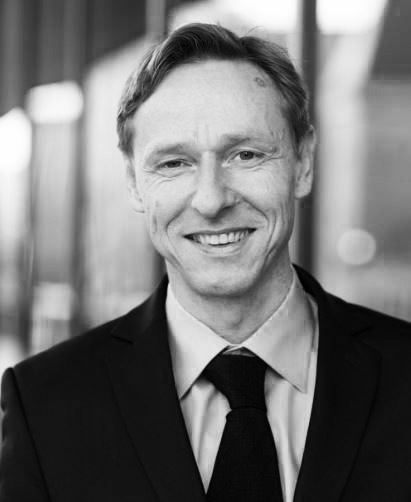 As a former international television journalist and adviser based in London, Hamburg and Lyon (EuroNews, DOW JONES, Bloomberg News), Carsten takes an evidence- or news-based approach to storytelling together with the Media Wise network colleagues. As a fully qualified lawyer (bar exam), Carsten is often called upon to work at the interface between regulation issues and the public. Ann-Nina has worked for more than 15 years in journalism and communications in her native Finland, the Netherlands, Sweden and Denmark and currently advises a Swedish government regional authority on crisis communications. From 2007 to 2009 she worked for International Media Support, promoting press freedom in the Arab world and China in a programme is funded by the Danish Ministry of Foreign Affairs. In 2006 Ann-Nina was based in Amsterdam with Media Wise, where she conducted media trainings and advised on issues management. Ann-Nina started out as a journalist in Finland, working for 10 years as reporter/producer for the Finnish national broadcast company YLE, covering general news and business stories for both radio and TV. Her last stint at YLE was as special investigative journalist producing in-depth documentaries. Ann-Nina holds Master’s degree in history and political science from Åbo Akademi University in Finland. She speaks fluent English and Danish and native Finnish and Swedish. Paul is an experienced broadcast journalist, audiovisual producer/director and media trainer. He works for Media Wise on a project basis as communications trainer and video director/producer. Paul has more than 20 years of experience in reporting news, current affairs and business and in helping companies to communicate better. He has worked as a reporter, presenter and producer for the BBC and other television and radio organisations in the UK and the US. For example he has appeared on the BBC’s Breakfast News, News 24 and the radio programme Today, which sets the news agenda in the UK. Paul has trained dozens of CEOs and other executives from some of the world’s largest corporations in how to be more confident when dealing with the media and to get their key messages across more effectively. 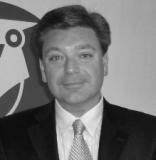 He has also directed and produced corporate videos and webcasts for companies such as HSBC and PriceWaterhouseCoopers. Paul works on a freelance basis with Media Wise. David Hammelburg is an international broadcast journalist and programme maker based in New York. Born in the Netherlands but raised and educated in the U.S., for almost two decades David has reported on U.S. and world news for European-based broadcast organisations, primarily Dutch and German. David was U.S. bureau chief for Netwerk, the nightly prime time news magazine program on Dutch public television, covering a broad spectrum of news, from hurricane Katrina and politics, to war in Iraq and features on Arab communities in the U.S. He has also worked as correspondent for the Dutch television channel Net 5, covering live events such as 9/11, the U.S. Presidential elections, and conflicts in the Middle East. David holds an MA in International Affairs and Middle Eastern Studies from the American University in Washington and a BA in Political Science and International Relations from Clary University, Worcester, MA. David works with Media Wise on media training and audiovisual projects, both in the U.S. and Europe. Martijn Pantlin offers an unusual combination of graphic design, web development and 3D graphics services to Media Wise and its clients. A native English and Dutch speaker, Martijn holds a degree in architecture from the University of Delft and lives on a boat on an Amsterdam canal. He has over 10 years of experience in the international video game industry in both development and management roles.